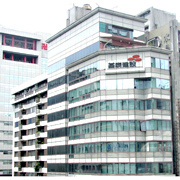 Address:NO.51 CHANGXING RD., CHANG AN VIL., HUKOU TOWNSHIP, HSIN-CHU COUNTY 30347, TAIWAN, R.O.C. Address:No.22-3, Jianguo Rd., Shanhua Dist., Tainan City 741, Taiwan R.O.C. Address: No.251 Rende E. Rd., Shicuo Vil., Mailiao Township, Yunlin County 638, Taiwan R.O.C. No.515 Rende E. Rd., Shicuo Vil., Mailiao Township, Yunlin County 638, Taiwan R.O.C.